Cub Scout Pack 179 – Serving Cubs in the Communities of Haddon Township, Collingswood, and Surrounding Areas. Welcome to Cub Scout Pack #179! Our program serves boys in Haddon Township/Westmont, Collingswood, and surrounding areas in Southern NJ. We are a part of the White Horse District, Garden State Council in Southern New Jersey. 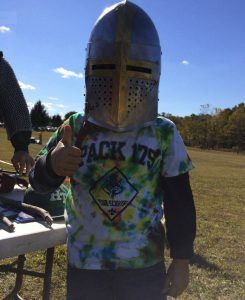 We welcome boys from grades K-5 that are interested in having fun and learning the Scouting values of honesty, respect for others, and good conduct. We practice teamwork, citizenship, and leadership. Our sleepovers, camping trips, and Pinewood Derby races are also not to be missed! Our Den Meetings occur most Tuesdays from October to April at Haddon Township High School. Our Pack Meetings and special events are generally held at Van Sciver Elementary School, or other announced areas.